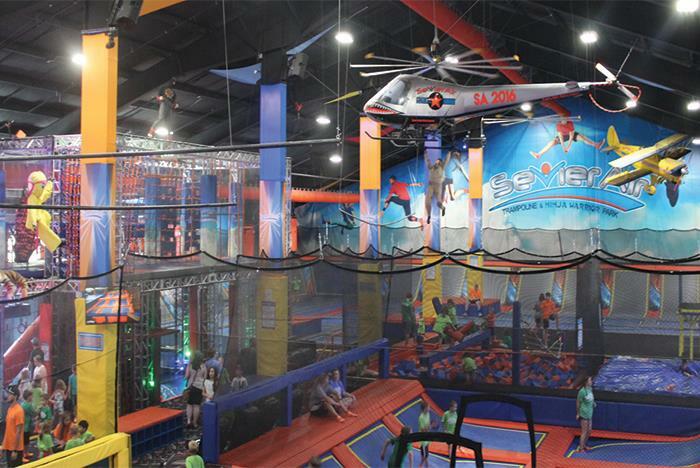 Jump around at Sevierville’s largest indoor family adventure park! With 38,000 square feet of fun, there’s something for every member of your family. 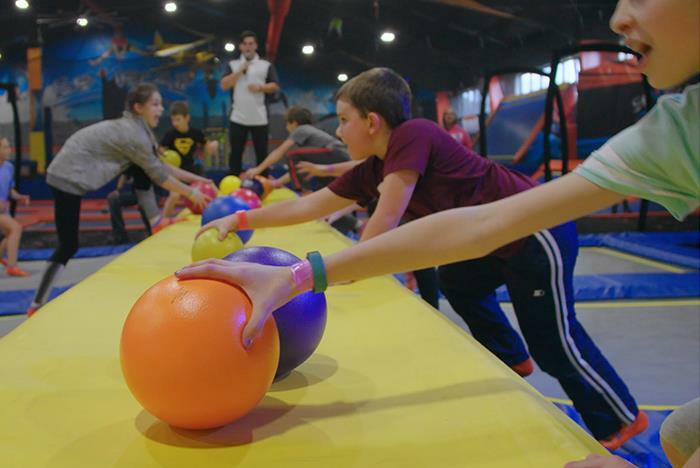 Try your skill on the junior and advanced Ninja Warrior courses or bounce around on the trampolines. And, take advantage of the first ever 3-story net system for kids! Stay energized with delicious treats at the concessions stand, too. Located in the Governor's Crossing Mall, across the street from The Resort at Governor's Crossing and Hillside Winery. Take advantage of free WiFi while on-site. All those who wish to participate must fill out a waiver form. Waivers are valid for one year from the date of completion. 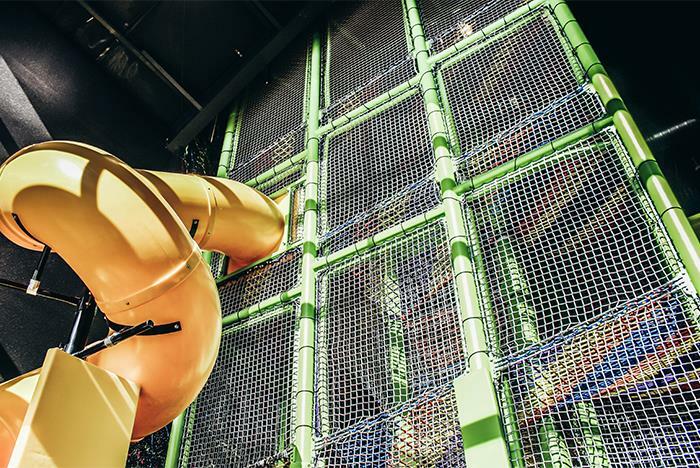 Sevierville's largest indoor family adventure park! 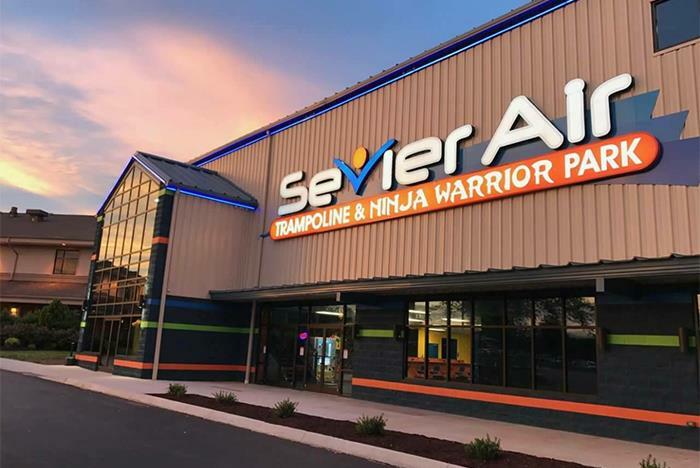 Sevier Air Trampoline & Ninja Warrior Park features 38,000 square feet of advanced & junior Ninja warrior courses, trampolines & a first ever 3-story net system for 2 to 10-year-olds! 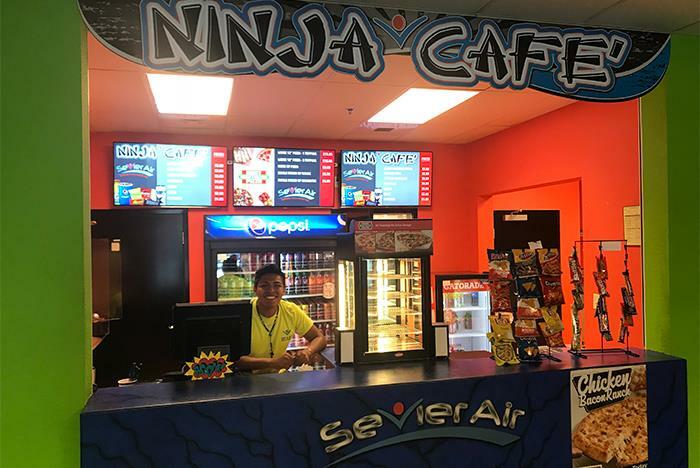 Sevier Air's concessions area features delicious treats from pizza to ice cream for when you need to refuel after the excitement. Located in the mall at Governor’s Crossing. Sevier Air provides ample spectator areas and seating throughout the park along with Free WiFi for family members and friends who want to come along but not participate. What are the rules for participating? Empty all items from your pockets. Attend Safety Briefing before jumping. Adhere to Patron Responsibility listed below. Jump within their abilities; master basic skills before moving onto more advanced tricks or flips. Perform at their own risk: Flips and other tricks can be dangerous. Be aware of others around them. Stay at least an arm's length away from all other jumpers. Jump with people of similar age and size. Follow all safety instructions as directed by Sevier Air staff. Be watched by a parent if under 42". Attend Safety Briefing before participating. Act within their abilities; master basic skills before moving onto more advanced obstacles. Perform at their own risk: Obstacles can be dangerous. Stay at least an arm's length away from all other participants. If under 4ft tall, you must use the junior ninja warrior course. If I attend, do I have to participate? No. 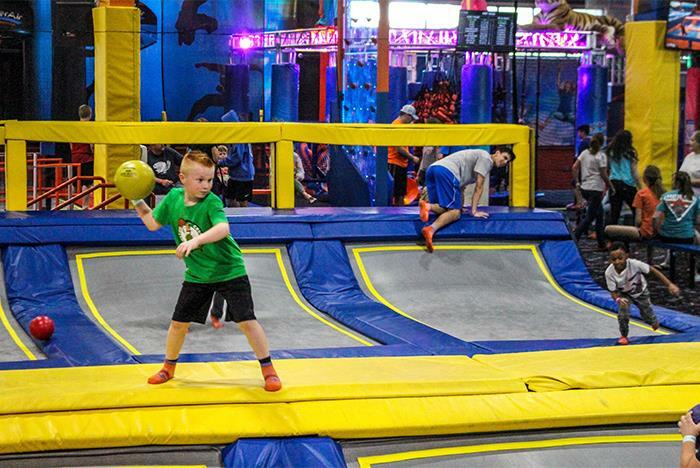 Sevier Air Trampoline & Ninja Warrior Park offers ample waiting areas and free WiFi to those who do not wish to participate in the activities. No. However, the park has food and beverages for sale at the concessions area. All those participating must wear comfortable, athletic attire. Empty all pockets and secure glasses if necessary. Yes. However, cameras cannot be used on the trampolines or Ninja Warrior courses.